According to the CDC, approximately 4.5 million people are bitten by dogs each year; in 2015 alone, 34 of those dog bites proved fatal. 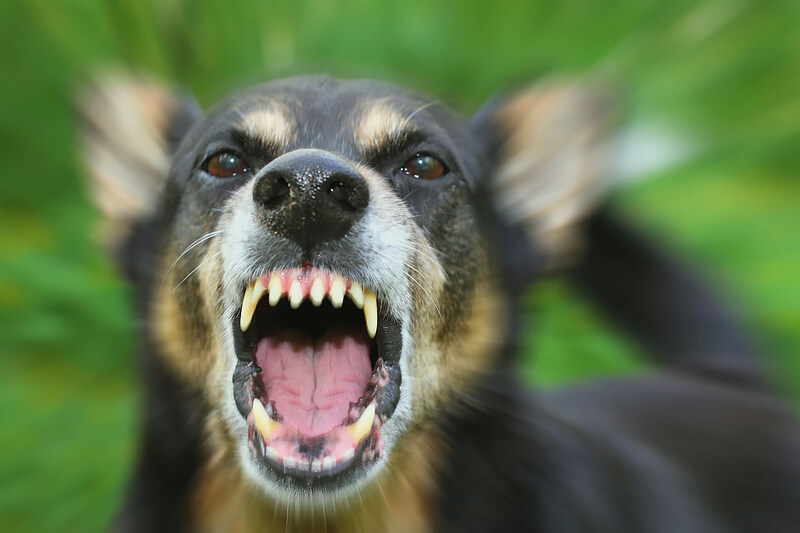 Furthermore, many dog owners are alarmed to learn that a large percentage of dog bites occur in the family home when normally friendly dogs attack visitors. Do stay calm and stand still. Don’t make eye contact or turn your body directly toward the dog (both gestures can be interpreted as aggressive). Do say “No!” or “Go home!” in a firm voice. If you’re bitten by a dog, you should wash your wounds with soap and water and seek professional medical care as soon as possible. Because almost 1 out of 5 dog bites becomes infected, the Centers for Disease Control and Prevention (CDC) recommends visiting a doctor for any animal bite, no matter how minor it may appear. Additionally, if you can identify the dog’s owner, he or she should be able to easily verify whether or not the animal’s vaccines are up to date; this information could spare you the stress of undergoing preventative treatment for rabies or tetanus. If you return to the location of the incident, speak to witnesses and gather as much information about the dog as possible. Specifically, you’ll want to question neighbors to determine if the dog has bitten or attacked other humans or animals in the past and/or if the dog is (or has been) a threat to the community. File a report regarding the attack with your animal control agency, which could be the Humane Society, the Department of Animal Control, or the local police department. If they request photographs of your injuries or additional information about the animal that bit you, make sure that you create copies of this information and keep the original documents or pictures for yourself whenever possible. If the dog owner’s insurance company contacts you, ask for basic information, including the claim number and the amount the insured’s policy covers for medical expenses. Avoid discussing any other issues with the insurance company, submitting anything to them in writing, or giving them a recorded statement. If possible, it is best to speak to an attorney before you speak to any insurance representatives; your lawyer can help you understand your situation from a legal standpoint and help you follow the most prudent course of action. Suffering an animal attack can be a stressful and traumatizing experience. The legal team at Pinder Plotkin is here to help. If you or someone you know was the victim of a dog bite or an animal attack, please contact our law offices. Our attorneys are happy to offer you a free consultation and will work tirelessly to obtain justice on your behalf. Call (410) 661-9440 or fill out our convenient online contact form today.